Mrs. Addie M. Brown, 84, of Plainville, passed away on Friday June 1, 2018. She is now reunited with her loving husband Warren Brown. Addie was born on December 13, 1933 in Allendale, SC to the late Joe and Minnie Priester. Addie moved to New Britain in 1955 and then to Plainville in 1969. For many years she was a nurse’s aide at New Britain General Hospital and an inspector at Fafnir Baring. Addie joined the Redeemer’s A.M.E. Zion Church, Plainville in 1956 and has been a member ever since. She was very active in her church and served as the president of the Senior Usher Board for 20 years. She also served as the president of the Home Mission Society and was active in the Gladys Floyd Senior Mission Society. Addie was also a longtime member of The Order of the Eastern Star, Naomi Chapter #9 and the Plainville Senior Center. Addie adored her family and friends and the time she spent with them. She will be remembered for many things especially her renowned sweet potato pie, fried chicken. She loved shopping, taking walks and family get togethers. Her love will live on in the hearts of all who knew her. Addie leaves her two loving sons James L. Brown and his wife Deborah of Southington and Benjamin Brown and his wife Martha of San Diego, CA; a brother Joe Priester; 7 grandchildren, Anita Knight, Thomas Brown, Seneca Baker, Jeremy Brown, Jaimee Brown, Carlee Jimenez and Christopher Brown; 10 great grandchildren and one great-great grandchild, along with several nieces and nephews. 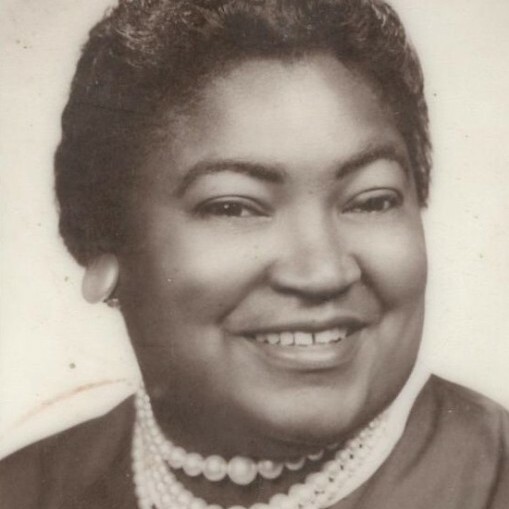 She was predeceased by her husband Warren, a son Ulysses Brown, a daughter Retha Brown, a brother Raymond Priester and 2 sisters, Josephine Yulman and Mattie Sanders. A celebration of Mrs. Addie Brown’s life will be held on Thursday June 7, 2018 at 12 PM at the Redeemer’s A.M.E. Zion Church, 110 Whiting St., Plainville followed by a committal service at West Cemetery, Plainville. Family and friends may gather prior to the service from 11 AM to 12 PM at the church.